Our giveaway sense is tingling! CTV Morning Live has your chance to win a pair of single-day passes to Ottawa Comiccon on Sunday May 12! 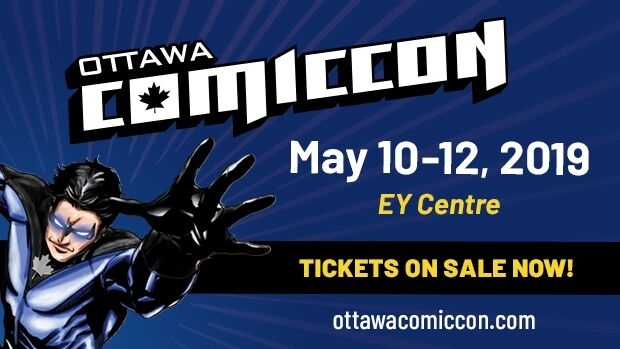 The 8th edition of Ottawa’s Comiccon runs May 10-12 at the EY Centre, and is jam-packed with guest artists, film and TV stars, playful activities, expert workshops, and specialized retailers... along with a multitude of cosplayers who come dressed in their most extravagant costumes! Entry is free for all children aged 6 and under! Contest runs Monday, February 11 at 6 a.m. to Friday, February 22 at 10 a.m.